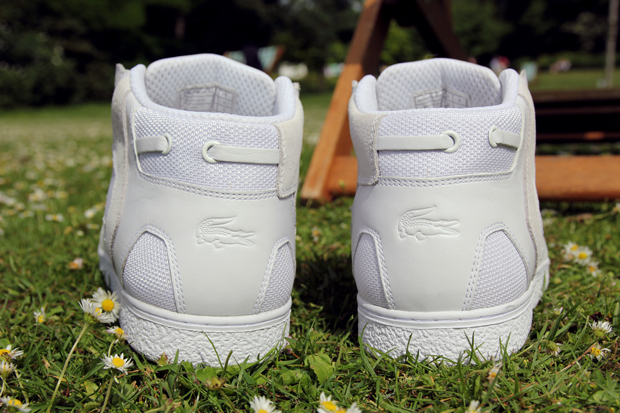 Spotlight: Alex Nash x Lacoste "The Bravington"
UK sneaker genius Alex Nash (aka Nash Money) has been at it again, bringing a new silhouette to the sneaker market, this time he has partnered up with Lacoste to create The Bravington. 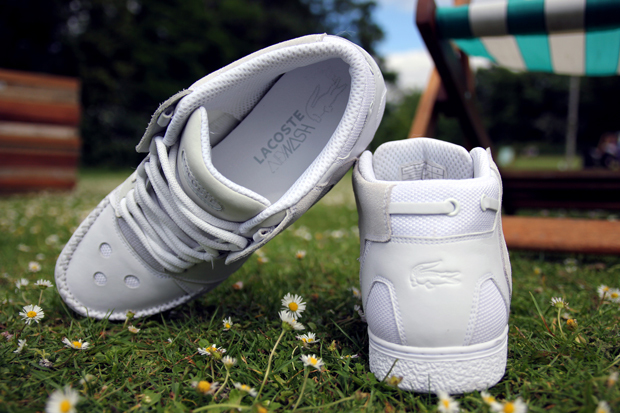 Inspired by the suave heritage and image behind the Lacoste brand, Nash has created a shoe that manages to sit rather comfortably alongside the current Lacoste footwear line-up whilst also being a distinct Nash shoe. 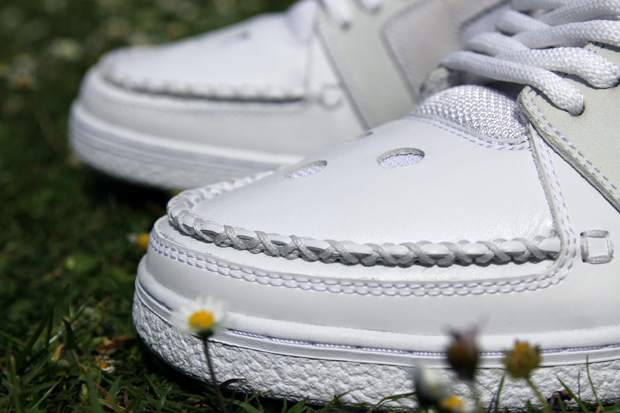 This shoe has a lot of character, even in the White/White colourway, and it goes well beyond the expected Moccasin stitch. To me this looks like a respectable skate shoe, a smart mid if you will and when I first saw the press images I assumed the the shoe would also be chunky like a skate shoe but It’s actually deceptively lightweight with a pretty slimline material structure. Something I was more than happy to discover. 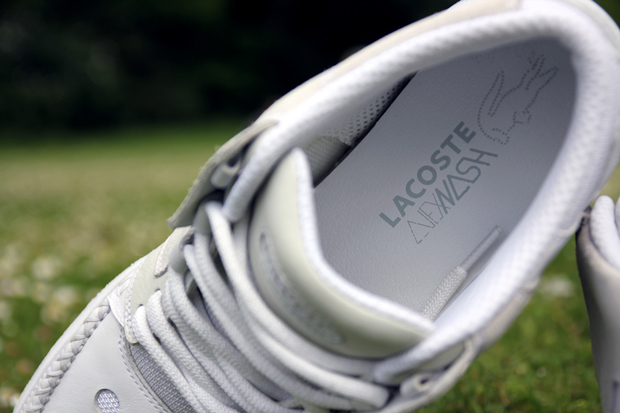 In terms of material, Nash & Lacoste haven’t held back on this one at all, managing to fit in elements of mesh, nubuck, suede and full-grain leather without over-crowding the design of the shoe. Pretty impressive! 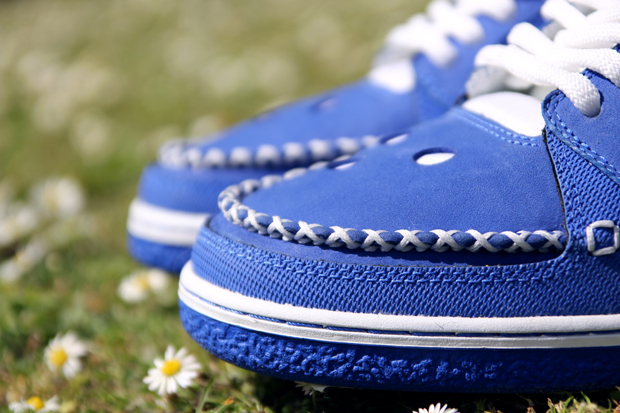 The co-branding is what really makes this shoe so special. 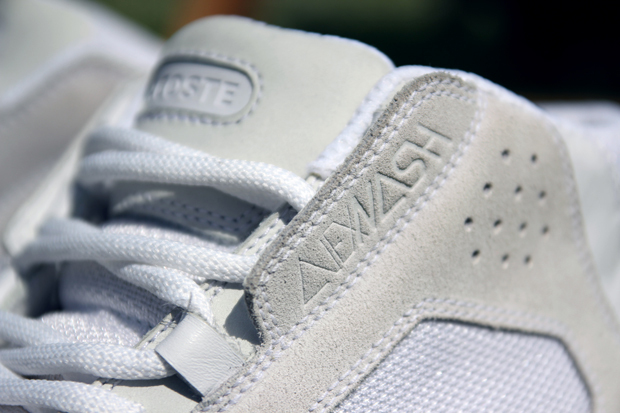 Peep the ‘Alex Nash’ emblem that guards the laces at the top of the shoe, the subtly embossed crocodiles on the heels, the individual tongue tabs and the co-branded insoles. 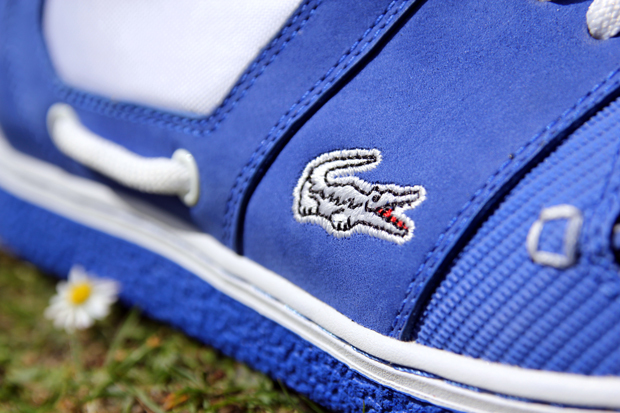 My favourite little detail is that the Lacoste crocodile is only featured on the side of the right shoe. 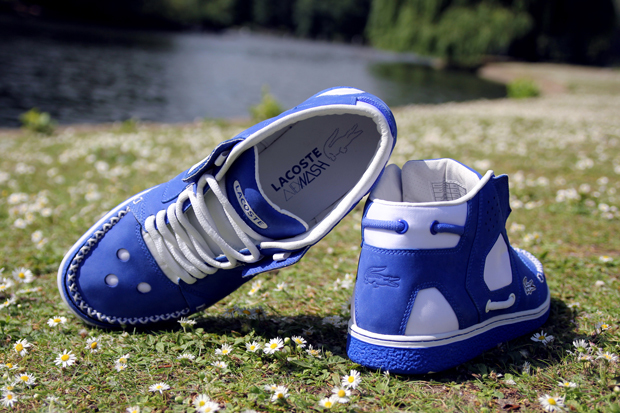 It’s clear that Lacoste haven’t skimped on Nash’s attention to detail with this collab. Congrats to Nash, another great design! These 2 colourways will be available in the 1st week of July from Hanon & Cooshti with another 2 colourways dropping in November. 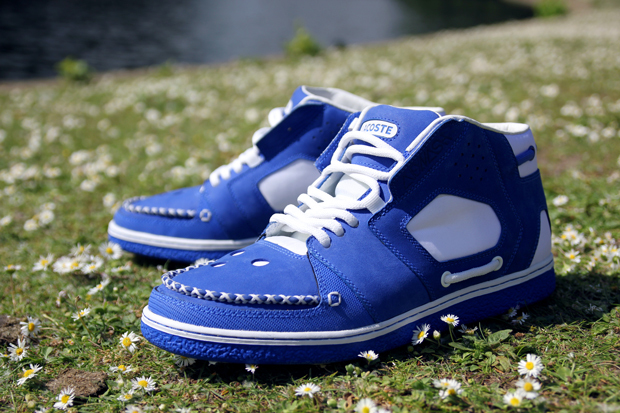 these are dope as fu*k! by far the kick of the year for me man! 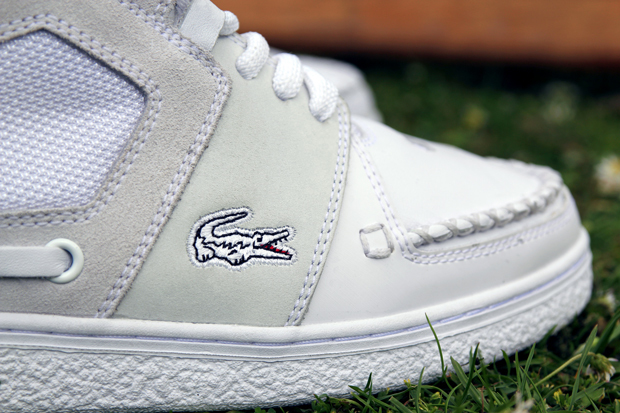 i dont really check for lacoste kicks but these are some next level ish, seriously cant wait to get my hand on these future classics. 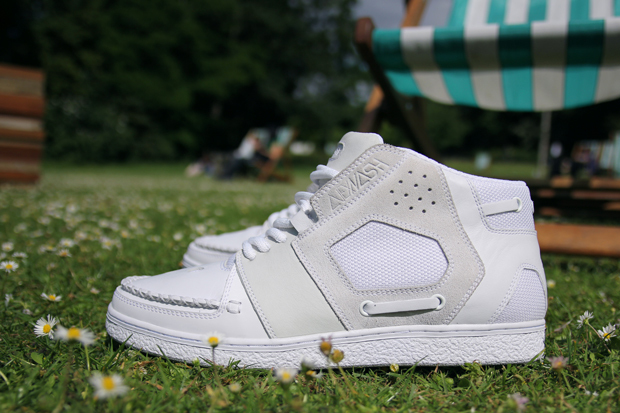 im gonna drop the white ones, but the tweed/tan leather ones due in the next drop will be the dons! reckon they’d look better if they were a lo-cut kick, not really feeling these. serious steez with these ones!! Saf, talking about these http://tinyurl.com/3xsj57m? I’m the same, the white ones are sick but those next release ones are next level! No need to take shots gents, let’s keep it about the shoes. Fully loving the shots. Nice one Alex, you’ve done a ninja J.O.B. Big thanks goes out to the Daily Street Crew. When I saw this I nearly Crapped myself from the sheer awesomeness of these shoes. I can’t wait for these to drop I will be swopping these up quick! ALEX NASH IS A KING! 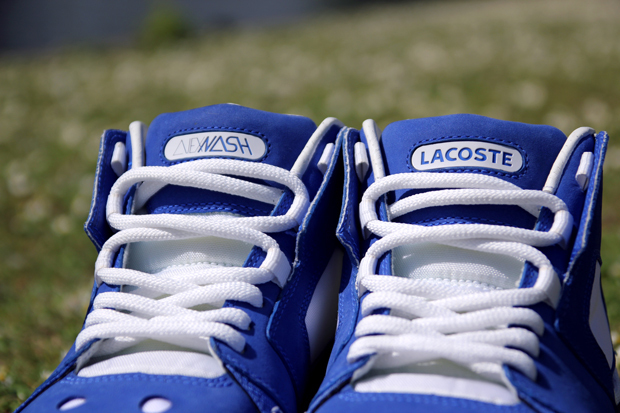 Yep they dropped at cooshti last month…last few sizes in white still available..and most sizes in Blue…but dont sleep ! 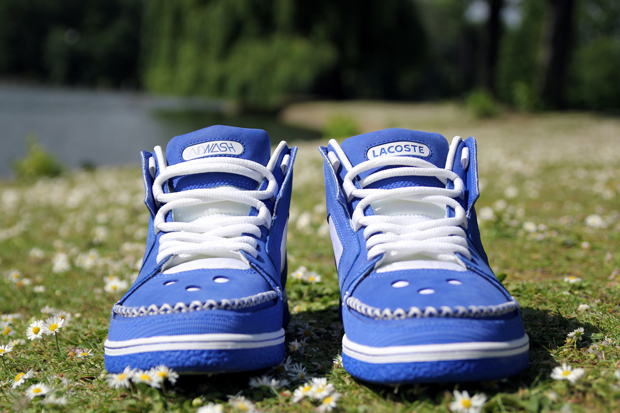 i really want a white pair where can i get these from!!!!!! To be honest, you may struggle now man as they came out a while back.